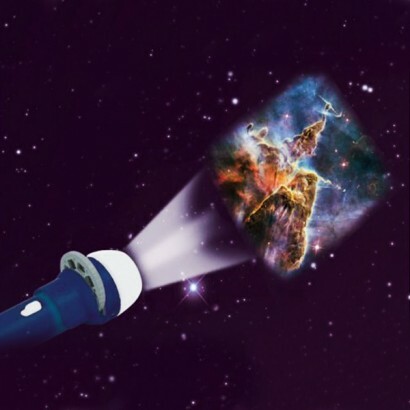 This incredible space torch uses three different projector slides full of colourful photos directly from NASA that ranges from images of stars, shuttles and spacemen to planets and the moon landing. 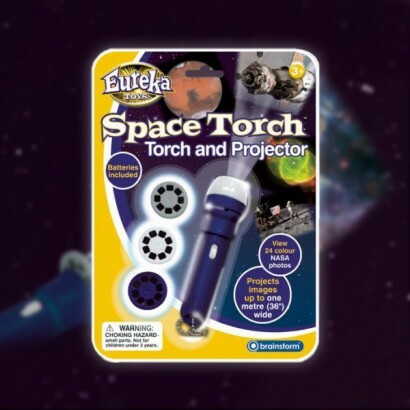 Engage your children with tales from space and let them see for themselves the wonderful world of outer space through a projected image that can be seen up to one metre wide. Easy to switch between the three slides there are twenty-four colourful images in total.